What is said about the Cambridge Phenomenon is that a very effective eco-system has been created involving academics, entrepreneurs and investment ‘angels’, primed by University investment in research and buildings. This perpetual cycle is enabled by encouraging a ‘global village’ feel, where success is driven bottom-up in a strong spirit of collaboration. What this exudes is a culture of ‘can-do’, of equal legitimacy in contributing and pushing for growth. Taking cues from one of the major local successes, ARM Holdings plc, we learn that their continued business success still rests on their attitude to failure, learning from mistakes, hands-on pitching in, taking responsibility, with a mix of empathy and toughness – all while setting the innovation bar high (1). As we note, there is mention of failures in this can-do system, but reinforcing a positive spirit enables those involved in failure to learn and adapt their ideas and approaches to achieve better and greater outcomes – failure becomes the springboard for improvement. Understanding your culture and, most importantly, consciously shaping it are critical aspects of assuring growth. Conducting business with some appreciation of the good behaviours and values that exist can deliver success. However they may not always be actively connected ‘to the way business is conducted, makes profit or delivers services’ and therefore inappropriate cultural traits might be losing business or impacting performance and growth opportunities. As a new or young business, what can be done to develop this kind of positive culture? In some ways it is simple, though it requires effort and vigilance. Think about your organisation now – what do people (inside and out) say about it? What are the myths and highlights that get quoted? In other words, seeding and feeding stories and identifiers that sum up what is best about the organisation, is in line with what you want to be known for and known as, and will help foster and build that culture. This needs clear and unified leadership effort to demonstrate, reinforce and exemplify the stories that you want to hear on everyone’s lips. As organisations mature, the culture develops, and if you are mature now how do you know it is the culture you need for continued growth and success? At OE Cam, we know the positive impact of a culture audit to understand what exists now and the difference made by renewed tactics for leading cultural growth. The variances between a strong, adaptable culture compared to a weak, rigid one might define the level of progress to be achieved. Whilst a qualitative approach to understanding culture can provide important insight into ‘the way that things are done around here’, a quantitative approach which compares employees and leaders’ current personal values and aspired organisational culture can positively impact how leaders direct employees and focus what they do. The right culture combined with a strong ambition for the business wards off stifling red tape, sustains the entrepreneurial spirit and insists on a proactive, customer centric perspective, working across role boundaries and in partnerships to deliver. We use a diagnostic tool called ‘Barretts Values Centre’ (2) to measure an organisation’s cultural entropy – the amount of energy consumed in un-productive work. This clearly illustrates the limiting values within an organisation and where measurable bottom-line impact or service improvement can be achieved. So, get it right from the start and keep an eye on the balance between excitement and learning along with consolidation, thus ensuring an organisation culture that is agile, so that you maintain a fast-paced, flexible and relentless pursuit of delivering success. What are the leadership messages in this? We worked with a colleague who went on to study ‘Leadership in Context’ for a PhD with the Institute of Manufacturing in Cambridge, and in her work she identified that leaders in growing organisations predominately tolerate ambiguity. That begs questions about understanding capabilities, ensuring self-awareness and taking those actions that will develop the ability to deal with uncertainty and ambiguous situations, and yet keep moving forward. • The values that underpin how the organisation will operate – what matters to us as humans. Given the broad range of leadership teams we work with, we know only too well just how much effort is needed to reach conclusions on these! With the knowledge of what sort of business you are in, the conundrums and dilemmas presented to the leadership can be assessed against these three things and reasonable decisions made. There is of course the possibility of recruiting people on the basis of their tolerance of ambiguity, though that comes with a health warning to be sure such people are applying their style where it is needed. Tolerating ambiguity where you need technical precision or adherence to legal and regulatory requirements may not work! However, it does raise the question of what kind of people, whatever the specific technical expertise required, you want around you, making your business work. We are interested in the Google approach that seems to recruit as much on the basis of personal characteristics as expertise. They have a strong sense of the sorts of people who will deliver and thrive. In terms of leading and managing the growing organisation, returning to the ARM example, in the early days, they had an environment in which there was a stable ‘core’ of a workforce – most people knew each other, they moved between roles and the senior leaders worked hard to understand the breadth of their business. That required recruitment and promotion on very specific bases, in turn needing clarity about what made ARM tick. The most effective operators demonstrated the core technical and leadership skills but also displayed a willingness to stretch into areas outside their current knowledge – to be novices, to acknowledge the narrowness of their current understanding. There are messages here about not only clearly investing in talent and nurturing it well, but also in encouraging sideways moves, lateral experiences, in enabling people to change their perspective on their own organisation. In the Leadership study, change in successful growing organisations was approached consciously as either a moment of convergence, a decision to re-orientate or a bold step to re-create the organisation in line with the business context and market. Leaders therefore need to continuously scan and review the horizon and decide how bold a step to take to achieve their ambitions. This scanning and focusing direction makes use of an under-utilised skill; that of ‘sense-making’ by which the leaders make sense of what is going on inside and outside their business to define a specific, relevant option for continuing its growth. Their next step is to ‘sense-give’ by involving their wider staff in building the art of the possible, the journey ahead from that initial direction. The most effective and sophisticated of the leaders operating in this way can be described as ‘energy-releasing’ leaders – engaging their whole business in making success happen. In our experience, helping leaders to better sense-make and sense-give helps them to develop this judgement and make the right call. One such approach is through metaphor development. Metaphors provide a common language and a basis for communication within the organisation. Through metaphor(s) an organisation develops a common language, an understanding of the task environment and a means of interpreting events. Metaphors are particularly useful in communicating broad and sometimes abstract concepts such as organisational mission and strategy and in situations requiring novel concepts and approaches. In businesses that are more mature or readying for sale, OE Cam has developed sound approaches to defining, identifying and positioning talent where it can operate best and with whom and for developing capability in such situations. This is undertaken with rigorous individual and collective assessment techniques, linked to feedback, development planning and correlated to business planning initiatives, investment and market expansion plans. Also critical to growth is ensuring robust succession planning as key individuals may be seconded to other parts of the business or be ‘released’ to pursue new ventures, whilst those who succeed must be capable of evolving the existing business opportunities. Needless to say, pursuing new kinds of talent requires a supportive environment to optimise the best of old with the new – we need the tacit knowledge and expertise accumulated over time as well as ‘new blood’ that can reinvigorate a renewed sense of direction and focus. Our client experiences indicate that such an environment is built on active employee engagement, critical for successful and aspiring organisations. It indicates the level of involvement within a business as seen through the eyes and experiences of employees. In our journal ‘Data and Decision Making’, Ann’s article ‘Where to Find the Data that Matters’ challenges us on whether we are attuned to measures that tell us what employees are motivated by, engaged in doing and delivering to our customers and stakeholders. Developing an environment with freedom to grow goes way beyond extraneous communication devices and forums! Our PhD colleague also showed that effective and speedy change in growing organisations required political freedom and a readiness for change. This is not only about buy-in, but it’s about making change a feature so it becomes less frightening and more attractive. Fostering growth requires an organisation to allow freedom to pursue projects and ideas within a shared vision, constructive judgement of ideas and permitting an active flow within the ‘team’. Growing organisations need to reduce or remove organisational barriers/obstructions that will reign in innovation, minimise risk taking and over critical assessment of ideas and actions that typically challenge the status quo. Instead, we need to nurture and value innovation and its deliverables. This includes allowing autonomy in both the practice of work deliverables and in the day-to-day conduct of a team’s work. Where relevant, leaders should be stepping back and allowing employees a greater sense of ownership and control over their ideas – underpinned by ongoing encouragement, reference to the vision and strategy, to key deliverables and the desired customer experience. See Gary & Susan’s article for more on autonomous teams. We are all familiar with the typical business growth curve which alarmingly reaches its peak and then indicates decline. What ‘growing up’ means for businesses is not only to enjoy optimising that first business success nor to concentrate on staving off that moment of decline, but to actively pursue perpetual ‘new business’ in the sense of their whole business. For each business, how they operate and achieve successive success will be unique to them and to the nature and characteristics of their business, the people they have on board, their approach to talent and its use. So, it needs enough disruption counter-balancing the momentum to conform, settle, turn blind to changing circumstances. That applies as much to how infrastructure is framed, defined and applied as it does to the skills of leaders to manage diverse capabilities, often in tension with each other. Diagram 1 below illustrates where many businesses due to size and/or maturity are currently focusing their growth effort – i.e. collaboration and alliances. For some, key growth is through collaboration; whereby teams, departments and functions re-group to deliver projects via matrix structures. This is supported by capable managers who understand managing cross functional, cross business groups and other forms of working that cut across the traditional vertical business units – often silos – of function and geography. Growth through alliances is realised through merger, outsourcing, networks and other solutions involving other companies – very prevalent at this time. 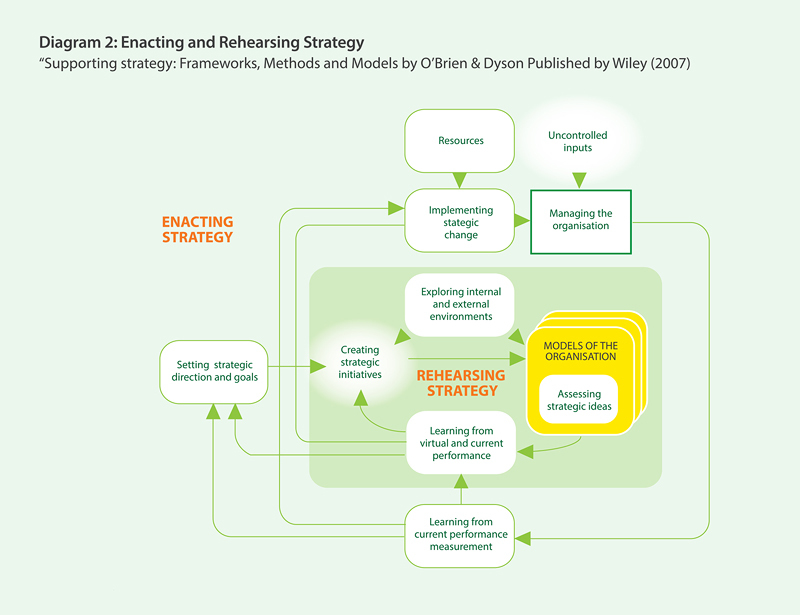 Diagram 2 below suggests one way of looking at a continuous strategic development process. This makes us think about Richard Sennett’s book, “The Craftsman” (3), in which he describes so well the notion of ‘mastery’, and we see its relevance especially along this growth curve. His version of mastery is not about an end-point, it is an eternal process of learning, growing and developing – initially self then others, to hone, polish, diversify and add to skills, knowledge and execution. It draws on other masters, other perspectives and sources, always open to challenge, mistakes and feedback in order to improve on their craft. Running organisations has an echo of just this, not only adapting to external and internal influences but also making use of them in creative and diverse ways. So, no blanket answers or responses to growing up successfully… Any support, advice or plan for addressing the crunch-points and need to change must be tailored, indeed co-created, consciously and boldly. In our many collective years working as consultants, the OE Cam team knows so well the need for understanding the local and situational context, the ambitions and goals of the leaders, their aspirations and goals for the future, the nature, shape and potential of the workforce – as the means by which we craft solutions that will work and make a genuine difference. The first step to renewing that sense of start-up and adventure wholly relies on the existence of the will and ambition of the most senior leadership team. Are you up for this? 1. Based on discussions at the OE Cam breakfast in November 2013 with guest speaker, Tudor Brown, one of the founding members of ARM & former Chief Operating Officer.